Lyrica (pregabalin) is a drug used to treat the pain of fibromyalgia. In addition, it's FDA approved for use in diabetic neuropathy and postherpetic neuralgia (shingles). It's also an anti-seizure medication. The FDA approved Lyrica for fibromyalgia in June 2007, making it the first drug ever approved for this condition. So far, there is no generic version of Lyrica. The closest equivalent is gabapentin, which is the generic form of the drug Neurontin, which is chemically similar to Lyrica. (In fact, Lyrica is often called "son of Neurontin.") However, the drugs are not identical, so your body may respond differently to them. Lyrica is now one of three FDA-approved fibromyalgia drugs and is the only one that isn't classified as an antidepressant. The other medications are Cymbalta (duloxetine) and Savella (milnacipran). Fibromyalgia is believed to involve over-active nerves and dysregulation of neurotransmitters (chemical messengers) that transmit messages, including pain signals, between brain cells. Scientists don't understand exactly how Lyrica improves fibromyalgia symptoms. However, the drug is believed to slow down certain impulses in the brain and stop over-active nerves from misfiring. It also may affect the way certain neurotransmitters function. Although it's been approved for several years, research has continued on Lyrica as a fibromyalgia treatment. Of course, for it to be FDA approved, numerous clinical trials had to show that it could provide significant improvements in fibromyalgia pain, fatigue, and quality of life. However, Lyrica doesn't work for everyone with fibromyalgia. In fact, a review published in 2016 found that Lyrica was moderately effective for 39 percent of study participants who took 300 mg a day, and 43 percent of those who took 600 mg a day. Those numbers seem fairly promising until you consider that 28 percent of people taking a placebo did just as well. Some research suggests that the three FDA-approved fibromyalgia drugs—Lyrica, Cymbalta, and Savella—are all about equally effective. Combining two drugs may be more beneficial, though. 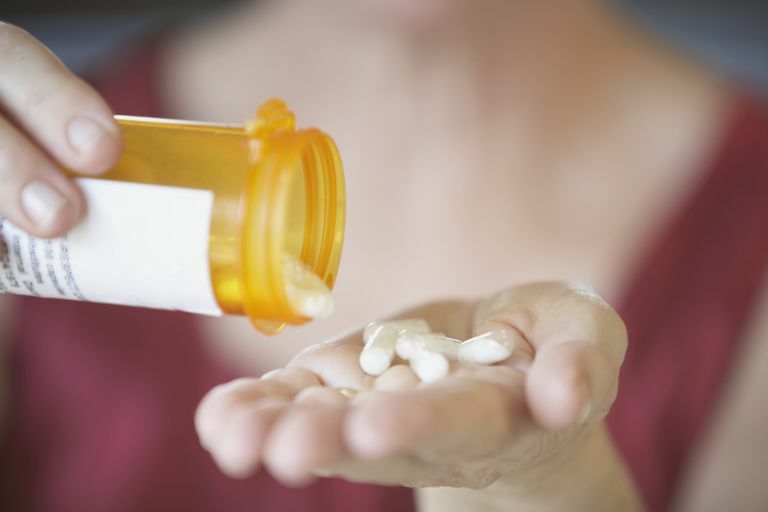 A 2016 study published in the journal Pain suggests that combining Lyrica and Cymbalta may be more effective than either drug on its own, and the authors urged more research into combined treatments. The usual dose of Lyrica for fibromyalgia is 300 mg to 600 mg per day, split between two or three doses. Generally, doctors recommend starting at a low dosage, such as 75 mg twice a day, and working up gradually to a larger dose. If you decide to go off of Lyrica, talk to your doctor about the proper way to wean off. It's dangerous to stop taking Lyrica suddenly. In a 2016 review of Lyrica's safety profile, researchers found that negative side effects are usually mild to moderate and that most people were able to tolerate them long-term. Some research shows that only 10 percent more people dropped out due to side effects from Lyrica than from placebo. Research has found that Lyrica rarely causes negative interactions with other drugs and that it appears to be safe when combined with antidepressants. You and your doctor are the only ones who can determine whether you should give Lyrica a try. Know that it can be expensive and some insurance companies won't pay for it. It's also a good idea, when you start a new medication, to have your pharmacist look over your drug list for any possible negative interactions. You may also want to consider keeping a list of side effects handy so you can quickly identify whether you're having any dangerous ones. Gilron I, Chaparro LE, Tu D. Pain. Combination of pregabalin with duloxetine for fibromyalgia: a randomized controlled trial. 2016 Jul;157(7):1532-40. Lee YH, Song GG. Comparative efficacy and tolerability of duloxetine, pregabalin, and milnacipran for the treatment of fibromyalgia: a Bayesian network meta-analysis of randomized controlled trials. Rheumatology international. 2016 May;36(5):663-72. Does Ultram Work for Treating Fibromyalgia Pain? Can I Keep Working with Fibromyalgia or ME/CFS?